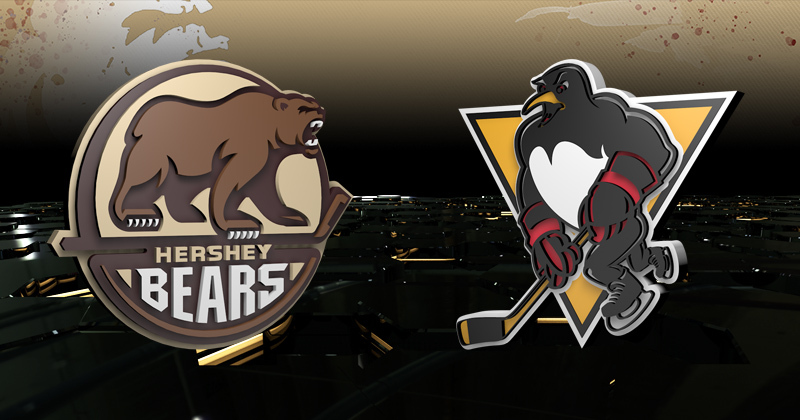 Saturday's Game in Wilkes-Barre/Scranton Moved to 3:05 p.m.
01/16/2019 - The Hershey Bears and the Wilkes-Barre/Scranton Penguins have announced a time change for their match-up on Saturday, January 19 at Mohegan Sun Arena at Casey Plaza. The game is now scheduled to start at 3:05 p.m. Due to pending inclement weather, puck drop has been moved up from the original start time of 7:05 p.m.
Saturday's contest will air across the Bears Radio Network, and may be viewed live via AHLTV. Pre-game coverage is set to start at 2:35 p.m.